Home » Belize Travel Blog » Travel in Belize » Hopkins, Belize’s Bioluminescence Night Tour: Dip Your Hand into the Burnin’ Wata! My last post showed “downtown” Hopkins village in Southern Belize. The tiny village, some of the people, the coast line. But one of the major draws to this part of Belize is the landscape…and the wildlife. Within the hour, you can be at the beach or on the gorgeous green Sittee River searching for manatee or hiking the Cockscomb Wildlife preserve searching for jaguar tracks. My very first night, the manager at my hotel, Parrot Cove Lodge, insisted that I go immediately out on a tour. The lovely Yoli is so passionate about Belize and knew this is a trip that I would love. She was very right. I knew absolutely nothing about the burning water. I’d never heard a peep about this trip. But at 7pm, I made my way over to Jaguar Reef Lodge – they arrange for guests to go out on this very cool lagoon. About 12 of us loaded into a van and set off for the 10 minute ride to the Sittee River Marina. 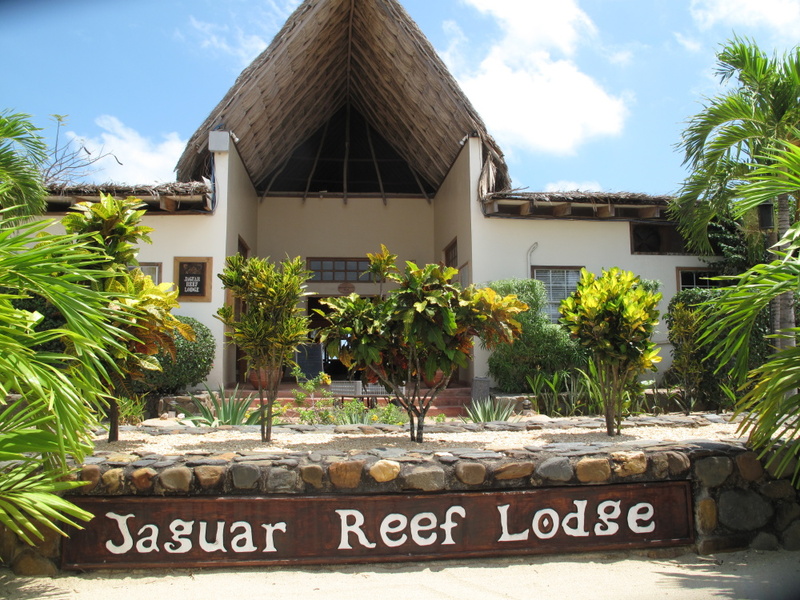 Here’s a daytime look at the main lodge Jaguar Reef Lodge. There are a good amount of families with children visiting Hopkins. Lots of tours from the kiddies – including this one. Our group, that included a few kids, unloaded at the marina and met Saldie our AMAZING guide. He has all the great guide qualities that I love in Belize (and anywhere). 1. Super excited to be on the tour (as excited as you are.) 2. Ability to answer EVERY question. It’s always the basic ones that would get me like “What’s a lagoon?”. This guy was good with the easy and the hard questions. 3. Talked about Belize “back in the day”. I can’t get enough about village life 20, 30, 40 years ago. 4. An insane ability to spot wildlife from great distance. I really don’t know how they do it. We headed out on the 5 minute boat ride to Anderson Lagoon. A good sized body of brackish water surrounded by HUGE prehistoric mangroves and TOTAL darkness. You think San Pedro, Belize is dark? In Hopkins? You can hardly see your hand in front of your face. The night sky is UNBELIEVABLE. Thick with stars all the way down to the tree line. We snuck down a tiny cut to the lagoon…you are surrounded by the GIANT mangroves (roots as thick as a person’s waist) and then we shot out into the lagoon. Okay…it’s pitch black, the guides flashlight beam cutting across the lagoon is the only light and then he turns it off. The boat picks up speed and the wake…glows. A blue light. As if the boat has some sort of lighting beneath it. As we pick up more speed, the tiny algae, which settle in the lagoon during the dry season, get agitated and glow. It’s absolutely unbelievable. We stopped and just stared into the water. Tiny comets shot out from the boat. Fish moving away and leaving a glowing path. 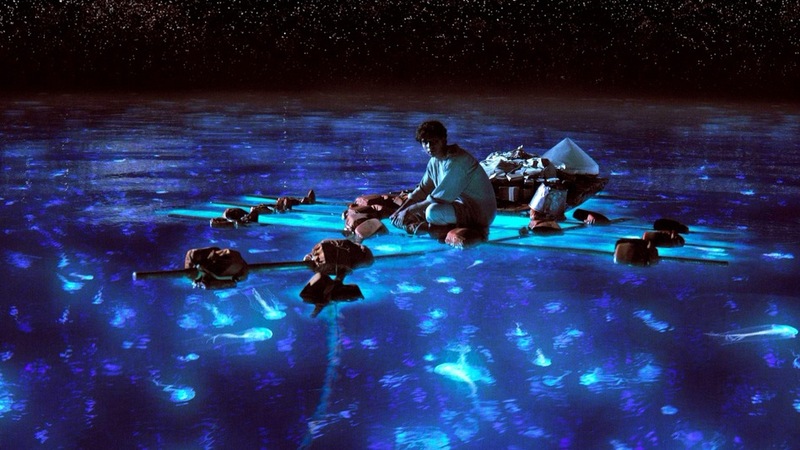 And then jelly fish…100 s of jellies pulsating in the water. Here to munch on all this algae – it’s all along their edges and inside them. Shining. Some a few feet below…glowing and fluttering. Some near the top. Saldie promised they are only moon jellyfish – not poisonous – and he grabbed one for me. Made it look easy of course…i had been trying for about 10 minutes. Just moving your hand around in the water is miraculous. You leave aqua blue glowing blue bubbles. I could almost write my name in it. So…now I’m in a pitch black lagoon that surely has crocodiles, in a boat that is underlit by an eerie but awesome glowing blue light and holding one of these squirming goo masses. THIS IS WAY COOL. Oh yes…and I forgot to tell you one thing about this crazy tour. You are going to have to believe what I am saying because you can’t take pictures of the bioluminescence. Each and every photo comes out totally black. And the stars and the total darkness are exactly the same. The glow in the water is a bit dimmer but I think equally shocking (again, minus the sperm whale). It’s the color of blue glow sticks…mezmorizing…amazing. One of those “nature is hard to believe sometimes” moments. My favorite part was just staying still. Watching the tarpon and needle fish shoot away from the boat was awesome. Something I am going to remember for a long long time. If you are in Hopkins in the spring, in the dry season, go on this tour. It’s pretty freakin’ special. Late addition: Someone pointed out that Ang Lee, the director of “Life of Pi” and the AMAZING animation, did research for the film by visiting and diving in Belize. How crazy is that? Here is an article from last year’s San Pedro Sun with pictures. It wasn’t all in my mind…I wonder…does anyone know…if he visited Hopkins and Anderson Lagoon? Wow wow wow! I have nothing else to say. It must be my photos that are grabbing you. I got to see that on the island of Guanaja in Honduras. It truly is magical! So glad you got to take that tour! Oh I LOVE Guanaja. One of the few places I’m dying to return to…with better sand fly protection. LOVE The Caye. That sounds amazing. We did a night walking tour in the Cockscomb Preserve last year and experienced some incredible darkness. Our guide would turn off his lights if he thought he heard something. He would wait several minutes to see if the animal would come closer. Those few minutes felt like an hour as we stood waiting to see what was walking through the jungle towards us. Later my wife and I discussed those moments and how as the dark minutes stretched on we both wondered the same thing. We thought it might be a guide trick and that he had silently crept down the trail to see how long we would wait before getting scared and turning on our own lights. We didn’t see many animals and nothing too unusual but the nighttime jungle is something everyone should experience. That sounds amazing too.  We took a night tour at Chaa Creek and you are right about the TOTAL darkness. Turning off my light for just…probably 30 seconds was my favorite part. Super scary. Wow! 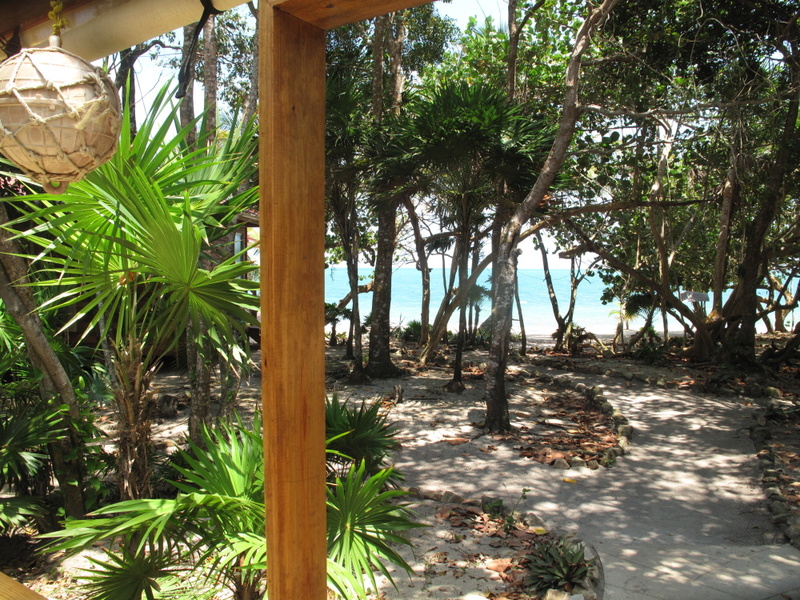 Another amazing thing to look forward to my next time in Belize! I WILL get a pic of me riding that glowing crocodile, LOL!